2018 will soon be known as the year of gold hoop earrings. In every size and, surprisingly, shape, gold hoops have made a powerful comeback this year. How can hoops have any other shape than round? Well, as it turns out, when jewelry designers use their imagination, nothing can stop them. So yes, as opposed to twenty years ago when the gold hoop earrings were, once again, in style, nowadays you have more types of earrings to choose from. Read further to discover our top picks for gold hoop earrings in 2018. You have decided to buy your first pair of gold hoop earrings but have discovered it’s not as easy as one would think. As you enter the jewelry shop or browse through online collections, you get dazzled by all the various hoop styles. Our advice is to start with the classic hoops. 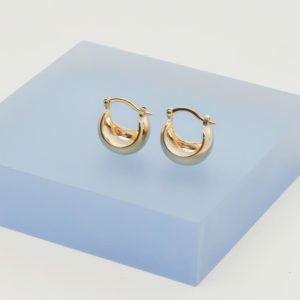 A pair of 14k solid gold hoop earrings of medium size is easy to match with most outfits and hairstyles. We recommend you to get a thin pair of hoops because, if you have never worn gold hoop earrings before, it may seem too much at first. 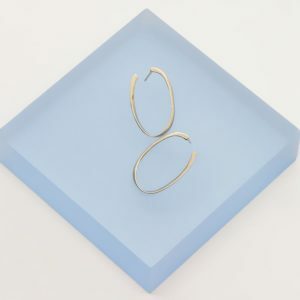 For example, Ana Luisa’s 14k solid gold hoops below are great to wear every single day. If you are feeling daring, then forget medium-sized jewelry and go for oversized hoops. After all, nothing says “fun-ready” than a pair of beautiful big gold hoop earrings. Fashionable, charming and with an intricate design, twisted gold hoops are great for a night out with your friends. Once again, the size it’s up to you. You can either buy a medium or large pair of twisted hoops or go for a more subtle look with a charming pair of mini twisted hoop earrings. This type of earrings looks best with short or medium hair, but you can also wear a ponytail. As for your outfit, cuff jeans and a cute T-shirt will always look nice with hoops. Remember how we mentioned at the beginning that hoops come in various sizes and shapes? This is where we clear up the picture. Yes, gold hoop earrings are traditionally round, but this doesn’t mean that you have to follow the tradition. Perhaps you already own a pair of classic hoops and want to bring a little extra diversity to your jewelry box. Or maybe you simply want to try a fashion trend and adapt it to your style. Regardless of the reason, oval gold hoop earrings are exactly what you are looking for. Besides being creative and easy to match, they have an extra-advantage over classic hoops. 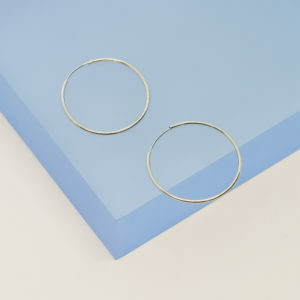 Oval hoops provide the perfect alternative to round hoop earrings for women who also have round faces. They help elongate the face and balance your features nicely. Wear them with a midi stiletto skirt and a tank top to refresh your style. 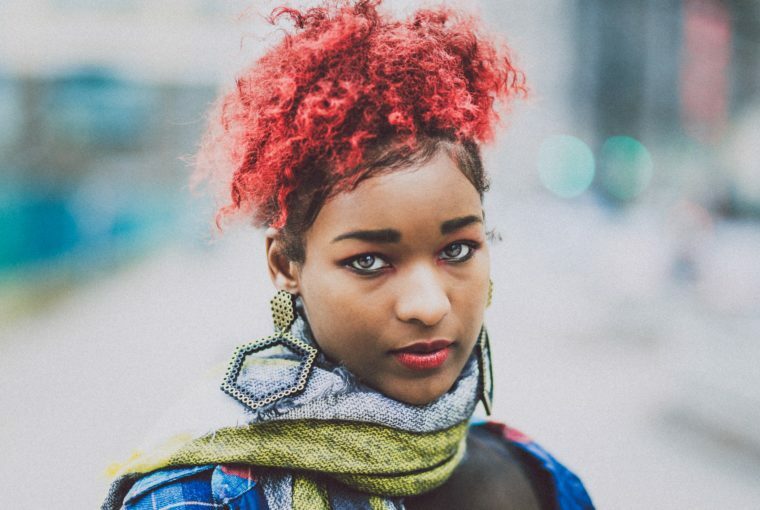 Besides the gold hoop earrings trend this year, there is another one that is just as powerful – mismatched earrings. And when you combine those two trends the result is an impeccable style. Mismatched gold hoop earrings are the freshest jewelry trend right now and we absolutely adore them. Unconventional, edgy and very fashionable, mismatched hoops will get you noticed wherever you go. Wear them with your favorite leather jacket and a headband to bring back that 90s style but with a contemporary touch. 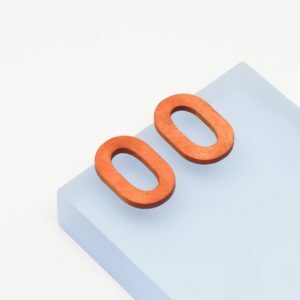 If metal jewelry isn’t your thing, you may want to check out these fabulous wood hoop earrings. We know we said we were going to talk about gold hoop earrings but we couldn’t leave boho chic out of the discussion. A pair of vividly colored wood hoops inspired by nature will look wonderful with a flowery skirt, leather belt, and your favorite chiffon blouse. So please forgive us for not sticking to the theme, but these wooden hoop earrings are just too gorgeous to be left aside. If you are looking for that perfect pair of hoops which you can also wear to work, we have some ideas. Huggies are cute and easy to match, but if you want to add a touch of elegance to your style, try something else. For example, these elegant and wide small hoops. Resembling vintage cluster earrings, these gold hoops are great to wear with turtlenecks or sharp suits. You can wear them to the office or even when going out because they are extremely versatile. As you can see, ladies, there is a whole universe of hoop earrings out there. 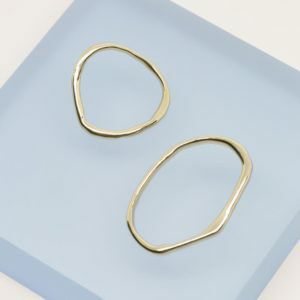 You don’t have to limit yourself to a single pair of gold hoop earrings when there are so many new and exciting styles to try. To view our complete designer jewelry collections, visit Ana Luisa online jewelry boutique.